If you’ve been following along (or if you haven’t), every once in awhile I write a tidbit about “the life I wish I led.” You can read previous short stories starting here. Today’s little piece is inspired by a student, who challenged me to find a reason in the eastern sky to write something. So, here is what came out. 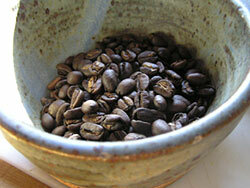 Fresh roasted coffee beans wafted outside the small, corner cafe. My steps hit the litter-speckled pavement underneath a blue, cloudless sky. Oaxaca, Mexico. It had been awhile since I made any sort of trip without Jeremy and the dust on my shoes made me miss my traveling companion and most kindred spirit. Before I met Jeremy at the New Tribes Missions training center in Wisconsin, I had pictured my husband-to-be much differently. People said he would be athletic (a wrestler, maybe) and accomplished (several doctoral degrees, perhaps?). I couldn’t suppress the girlish giggle that found its way through the familiar feelings and escaped through my parched lips. Jeremy was a lot of things – accomplished in his own right (but without the degrees) and athletic only when necessary for adventuring (never really for sport) – but he certainly looked nothing like what people (or I) expected. I suppose that’s why I fell so quickly and decidedly. Now, waiting for my childhood friend at the Cafe Sueno in Oaxaca, I half-hoped he would have made the trip with me. I pushed the thought down with a few thick, flavorful sips of fresh coffee. This little eatery was quietly crammed between a panaderia and a friendly fabric store. It would only be a few cups of this good strong coffee before Elizabeth met me … I smiled as I realized I no longer measured time by minutes. Two years had taught me time (and certainly punctuality) was a very fluid thing in Central American culture. I can’t say I minded measuring things in cups of coffee or rainstorms or daylight or loaves of bread. Sure enough, I was enjoying my third cup of coffee with a delicous postre when Elizabeth walked in. It had to be at least three years since we had connected in our token small-town, Midwestern Amish restaurant. In the moments before she saw me, I knew we would start as though no time had passed at all. This entry was posted in creativity, writing and poetry. Next Post Next post: Can I have "Home Alone" for 400 please? I love all these short stories, but I must say this is my favorite so far. Meeting old friends in cafes and Oaxaca, Mexico all sound so nice 🙂 I hope you have a safe trip home and hopefully I’ll get to see you!